HITMAN will begin on March 11, 2016. Players can buy HITMAN for USD $59.99, which includes all of the content, access to all live events and guaranteed access to the HITMAN Beta. Also announced today, the new Intro Pack will be available to pre-order from this November priced at $34.99 and will include all launch content available on March 11, 2016 only, including Live Events and Contracts for those locations. Players will have an option to Upgrade  their Intro Pack to include the remaining HITMAN content for $29.99. Players perform contract hits on powerful, high-profile targets in exotic locations around the world in HITMAN, a creative stealth action game. 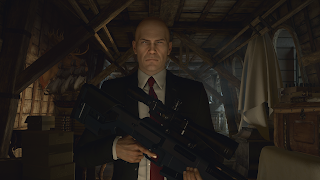 HITMAN will be available for digital download from March 11, 2016 for the PlayStation®4 computer entertainment system, Xbox One and Windows PC. A disc version of the game will also be available later in 2016.